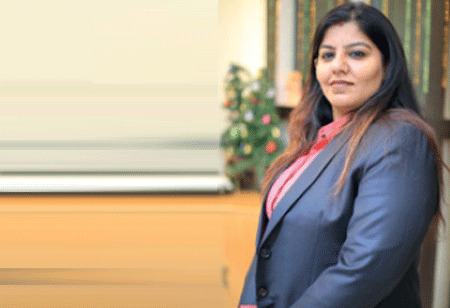 Having a firm business mindset and a track record of managing complex IT projects and digital transformation projects, Pooja has worked extensively in understanding business requirements, performing gap analysis between goals and existing procedures sets,and designing process and system re-engineering to increase productivity and reduce costs thus delivering large projects within defined timelines and budgets. Digital transformation (DX) is application of digital technologies to impact all aspects of society and business. Inlay man language it can be defined as the remaking of every aspect; it’s as simple as everything is being rethought, simplified and improved. IT in this era is helping every business to go digital, in order to be more effective and demonstrate value to its all units. But for successful DX we need more of board room endorsements and internal buy in to manage cultural and operational transformations within the organization. Once we have an answer to above questions, then we step down to actual task breakdown for DX. Same can be broadly divided as defining business goals (Definition), assessing existing data available (Assessment), analyzing results (Analysis), designing improvement plans (Improvisation), implement solution (Implementation) and finally consistent data check vs. business goal (Setup controls). 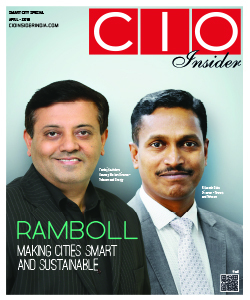 There are lot of challenges that would be a part of this digital journey and would require a constant focus like change in corporate culture, ensure effective collaboration among it team and departments, keeping digital strategy on mind, allocate resources and bud gets, ROI to justify and last but not the least risk management, compliance and legal complications. The 5 P's of management theory plays an important role in transformational journey thus leading to satisfied customer and employee experience: Process, People, Purpose, Profit and Performance. According to global research, it is evident that Internet of Things (IoT) has become the leading technology for digital transformation followed by Artificial Intelligence (AI). Improved service delivery, better health and safety across organization and greater workforce productivity are some of the key benefits of IoT. IoT becomes eyes and ears of organization and its value comes from how data it collects is used to improve effectiveness across organization. As per market demand, customer feedback, business need journey to digital transformation remains a continuous process and IT as backbone should always be ready to lead the way with latest and best suitable solutions available in the market and within the budgets agreed to the management. Believing in the fact what worked yesterday to attract and engage customers has become obsolete today; digital change is the only constant practice which can help to survive in this fast moving markets.